'Jack' gained 4 Best Puppy in Breed in Championship shows and was one of the top puppies in the country in 2009. He gained his Junior Warrant in 10 months. Jack is now at stud and his progeny to date look very exciting. 'Jack' gained his 1st CC at the Hound Show in 2010 and continued his successful ways winning at five Championship Shows. He gained Reserve CC at Paignton and District Championship Show in 2011. 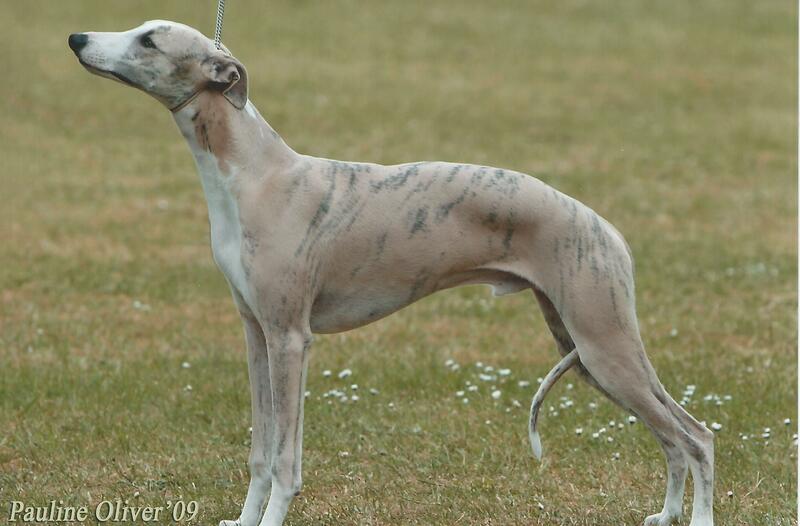 He gained his 2nd CC at the Midland Whippet Championship Show under Mrs Kappers (Sweden). He went on to win 7 Limit classes and continued his successful ways in Open classes. A litter from Jack is due in October.